We have held SSAIB accreditation since 2002. Established in 1998 with over 40 years experience in the industry, we provide a wide range of services for both Fire protection and security. We are suppliers to Local Authorities, Hospitals, Schools & Colleges, Residential Care Homes, Hotels, Large and Small commercial and industrial organisations, Retail and the Professional Sector. We install and maintain all of our systems to the relevant British Standards and have them regularly inspected by the appropriate inspectorate body. We install and maintain small basic conventional system to larger addressable and network systems. We have acceditation with Niceic. Intruder alarm systems are a large part of our installation and maintenance works. We have held accreditation with the SSAIB since 2002. We install systems from small commercials to large colleges. We design, install and maintain system’s to protect your comms room’s. We also carry out room integrity testing for your peace of mind. We have been installers of CCTV Systems for over 20 years. From one camera system to multiple cameras with remote monitoring. You can even watch your CCTV System from your smart phone or tablet. 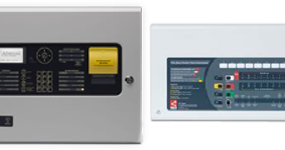 Firetrace systems can protect a wide variety of installations. From electrical cabinets to vehicles, the extinguishing system can also be fitted with a pressure switch to activate an alarm or shut downs. Firetrace is one of the system that ABC Fire and Security will provide so that, should a circuit burst into fire, our cabinet based system will extinguish immediatly the fire starts - providing a money saving safe system which removes the risk to other systems you have nearby and at worst provides a safe period for people on site to evacuate. Here is a video of a firetrace in action - we're sure you will want to protect your systems with this. Know when intruders try to get in and if they do where and when - know quickly. Intruder alarm systems are a large part of our installation and maintenance works. We have held accreditation with the SSAIB since 2002. We install systems from small commercials to large colleges. Your system can have bells only or have remote monitoring to allow for Police response. 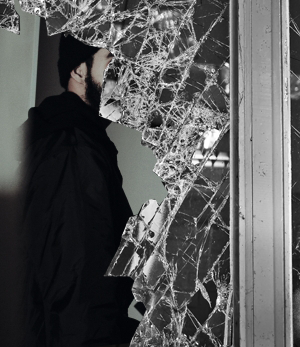 Intruder alarm systems provide security and knowledge that whoever in the building should be there and when someone who should'nt be in there is trying to get in. Email us now on info@abcfireandsecurity.co.uk to find out how we can help you keep security working for you.